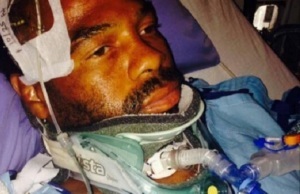 Don’t pretend you know anything more about Al Haymon’s level of culpability than anyone else. 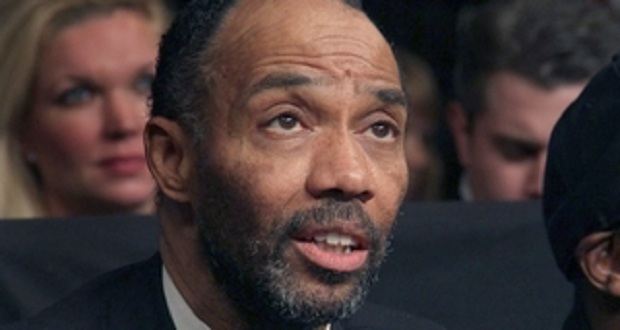 With lawsuits seeking damages from both Golden Boy and Top Rank, Haymon faces charges of shady business tactics as well as widespread violations of the Muhammad Ali Act. But, again, don’t pretend that you know anything regarding whether those allegations are actually true. The media doesn’t really know and you, the reader, only know what the media would like you to believe. Efforts will have to be made to determine the nature of Haymon’s business dealings and the actual legal nature of his role in running shows featuring “his” fighters. The courts will sift through all the papers and determine whether Haymon’s advisor role is actually one of manager, promoter, both, or neither. That is, of course, if the lawsuits ever go to court– which they probably won’t. Going to court means going through a discovery process that would flatten all parties involved and, likely, open the doors for the world to see that those filing the lawsuits have been using some of the same shady business practices they attribute to Haymon. Top Rank and Golden Boy are smart enough to realize that. So, then, why file lawsuits that are not likely to actually produce a court decision? To find out the possible answer to that question, one needs to look at the money behind the Premier Boxing Champions (PBC) power broker and what the PBC project means to boxing’s core structure. Investment firm Waddell & Reed specializes in what are called “mom and pop” investors– regular people investing their money in business ventures under the guidance of the firm’s financial team. Reports have stated that Waddell & Reed has gathered as much as $400 million for the PBC project. 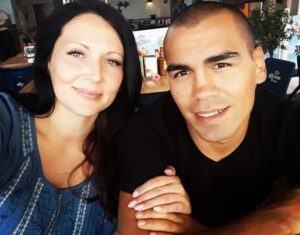 Per the Wall Street Journal, this type of mom and pop base “makes it more susceptible to shifts in popular sentiment than larger competitors.” And, likely, those investors involved with funding PBC are not savvy boxing insiders familiar with the feints, bluffs, and hustles that make up a good portion of the sport’s business practices. A regular, every day investor– which make up about 86% of Waddell & Reed’s clientele– only reads news reports and website articles. It’s easy to understand how investors would be quick to distance themselves from PBC and, quite possibly, Waddell & Reed as well. And that may be the very reason behind the two lawsuits recently filed. Forget about the $300 million wanted by Golden Boy and the $100 million wanted by Top Rank, the real goal of these high profile lawsuits could be to rattle investors enough to remove their funds from Waddell & Reed and immediately defund Al Haymon and Haymon Boxing. Without the war chest money, Haymon cannot continue with the PBC project and, while remaining a major player in the game with plenty of assets, he won’t have the funding to be anything more than a cog in the machine. The Boxing Tribune’s own Fox Doucette, who has a bachelor’s degree in accounting from the University of Nevada, Reno, took a look at Waddell & Reed’s earnings, strategies, and general investor profile and found it, by nature, to be a firm ruled by a “restrictive financial model for capital budgeting” due to the nature of its investors. In other words, a really good bluff may be all that’s needed to break apart the coalition funding of Haymon and PBC. Believe me, there is a great interest in “defeating” Haymon and eventually removing him from the sport. There’s a reason he is attacked with the wave after wave ferocity reserved for trouble-making outsiders and those trying to work outside of the existing constructs of the game. And there’s a reason this has been the case ever since he first got into the game as the moonlighting manager of Vernon Forrest. Like him or not, agree with his business tactics or not, a successful Haymon (as well as a successful PBC) represents a complete restructuring of the sport. It represents a turning away from the current system where the promoters wield every bit of the power, from control over sanctioning bodies to TV deals, and right down to the specifics of judging, officiating, and working with commissions (that are often beholden to those same promoters). A shift in power that puts more control into the hands of the fighter, manager, and TV people would immediately strip guys like Bob Arum of his omnipotent power broker status and turn him into someone who “just” promotes fights. Obviously, this is not good for those promoters who currently wield the most power. It’s also not good for the sanctioning bodies, which are little more than puppets for the promoters in power, or for select stooges placed in state commissions, who make a killing from playing dumb for the benefit of keeping favored promoters happy. So, the Crush Haymon initiative, if there is one, is a no-brainer. And, in boxing, where the will of the promoters goes, so does the willing flesh of the media. We’ve talked about this before in the Monday Rant and will talk about it again, but boxing’s media is, in great part, subsidized or, in some cases, flat-out owned by boxing’s promoters. A great many media jobs are owed to promoters who know that a fat, complacent, conveniently inept media is pure advertising power– and nobody is even trying to hide it anymore. The Friday before ESPN’s Dan Rafael “broke” the Top Rank lawsuit story, he was wined and dined at Bob Arum’s Beverly Hills mansion, where he took snapshots to share with his Twitter followers. 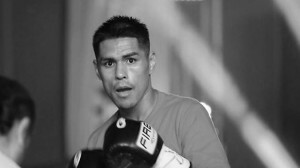 The following Wednesday, Rafael blasted the Top Rank vs. Haymon news throughout the Universo Pugilistico. The rebuttal from Haymon’s attorneys was posted later that same day by Rafael, but was buried deep inside a lengthy article that once again spotlighted the allegations against Haymon and company. Almost exactly one week prior to the Top Rank lawsuit being filed, veteran scribe and Rafael’s BWAA brother, Ivan Goldman of Boxing Insider, wrote a table-setting piece regarding the California State Athletic Commission (CSAC) “busting” Haymon for “sabotaging” rivals’ shows. Just about every media outfit ran with the story, reprinting the juicy details of Haymon plans foiled by a plucky commission. And after the Top Rank lawsuit was announced, they referred back to the Goldman piece as implied proof positive of Haymon’s wrongdoing. Except, the day after the lawsuit news hit the web, in a piece published in Boxingscene, the CSAC denied that any actions had been taken against Haymon at all and that there has been no investigation of Haymon by the commission, “either formally or informally.” Commission member, John Frierson, who Goldman quoted in his article, was even reportedly denying the words attributed to him, especially those regarding the commission “busting” Haymon. At this point it should be noted that Goldman has been a loud and long-time critic of both Floyd Mayweather and Al Haymon, taking the position of serial penny-click Mayweather/Haymon antagonizer at Boxing Insider from “Scoop” Malinowski. Most Goldman columns these days are anti-Mayweather or anti-Haymon rants. At any rate, The CSAC’s denial of Goldman’s story got almost no traction in the boxing media– and certainly not as much as Goldman’s questionable and disputed hit piece. 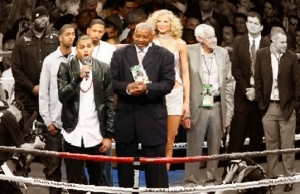 Other stories have been floated into the public consciousness by the media, intended to foster the idea that Haymon has broken Federal law, is intent upon establishing a monopoly, and is producing an utterly inferior product that is no threat to non-Haymon entities, is hemorrhaging all sorts of money, and is completely out of favor with fans. Assorted writers, all with connections to either the BWAA or directly to Top Rank Promotions in some manner, have made it a full-time job to turn their social media timelines into a round-the-clock attack on Haymon, PBC, Waddell & Reed, and any fighter associated with them. Sadly, some fans have been lured into the partisan fray. Of course, it’s all educated guessing on my part as to whether the lawsuits and media attacks are all just parts of an organized effort to defund and crush Haymon/PBC. But it’s no more conjecture than what the boxing media has been passing off as fact. The truth is that nobody knows the real nature of Haymon’s business dealings until some neutral third party begins sifting through the actual paperwork. We only know what the media has reported and what the usually clueless bloggers have pieced together from Instagram photos and Twitter buzz. I may be the only voice out there not jumping to convenient conclusions and I’m definitely the only one out there talking about why the old guard of boxing may be conspiring to eliminate Haymon from the sport. Note, though, that I’m not proclaiming Haymon’s innocence. It’s just that I don’t have enough information available to me to declare whether he is actually guilty of violating the Ali Act, or any other laws. And, if you’re honest with yourself, you’d admit the same. This Rant will likely produce cries of pro-Haymon bias or allegations of me being in someone’s pocket– that’s to be expected when you buck the system and insist that people actually (gasp) think. However, I do like the idea of the PBC in concept (I also have some problems with its execution thus far) and I am for sure in favor of making major changes to the sport’s current infrastructure. Maybe that makes me less receptive to the lynch mob mentality boxing has when it comes to uppity outsiders. But, unlike many of those going for Haymon’s throat every single day, I’ve never dined at Bob Arum’s Beverly Hills Mansion; I’ve never played golf at a ritzy country club with anyone from Golden Boy; I’ve never been on all-expenses-paid sightseeing junkets with Top Rank staff. My site is entirely funded by independent ad revenue and reader donations. I have no monetary interest in the outcome of any of this. My only interest is in telling the truth and in the betterment of the sport. 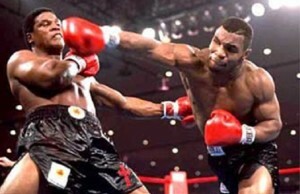 As most of you should know, I do NOT make a killing with my work here at The Boxing Tribune. And as some of you may know, I, personally, have dedicated most of my time here in Mexico for the last fifteen years doing charity work where money is not paid or, at best, I am compensated with food or other merchandise. Well, my world hit a bit of a rough patch these last few months with the news that my Mother needed a corneal transplant to preserve her eyesight. And, although she has insurance that covers some of the costs and I’ve been able to provide some money, myself, we simply can’t cover the full costs of the procedure and subsequent medication. So, I’m going to pass the hat here and humbly ask for a donation if at all possible. Like me or not, my Mother is a remarkable person and is 100% deserving of this blessing as someone who has given so much to so many people over the years. Here’s the link to the GoFundMe campaign I set up for her: http://www.gofundme.com/y9rvu4. Read the story for more details, donate what you can, and/or share the link with others…Thanks. Per my Mother’s insistence, anything we raise above our goal will be donated to the St. Jude Children’s Hospital.